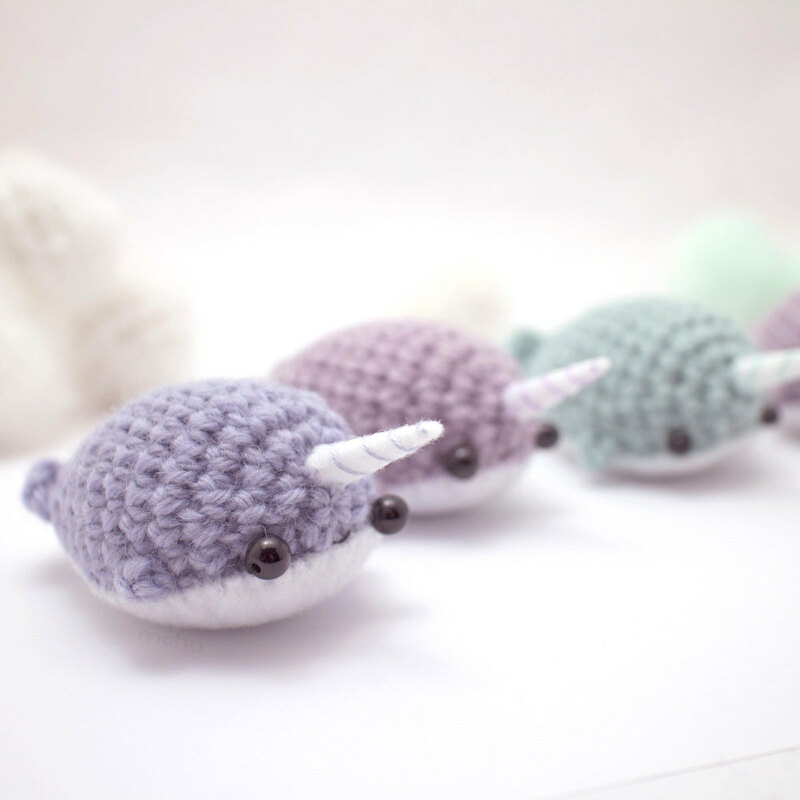 A downloadable crochet pattern e-book, containing patterns for seven amigurumi sea creatures: a blue whale, dolphin, manatee, narwhal, orca whale, seal, and walrus. The pdf file includes written crochet patterns, step-by-step photos, detailed assembly instructions, and printable templates for the felt details. 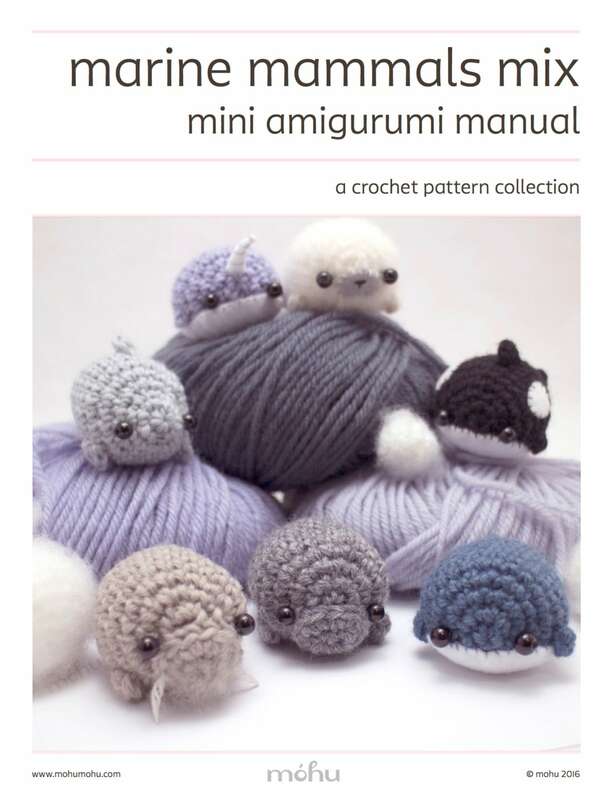 This pattern collection is perfect if you're already familiar with the basics, and want to learn some new amigurumi-making skills. 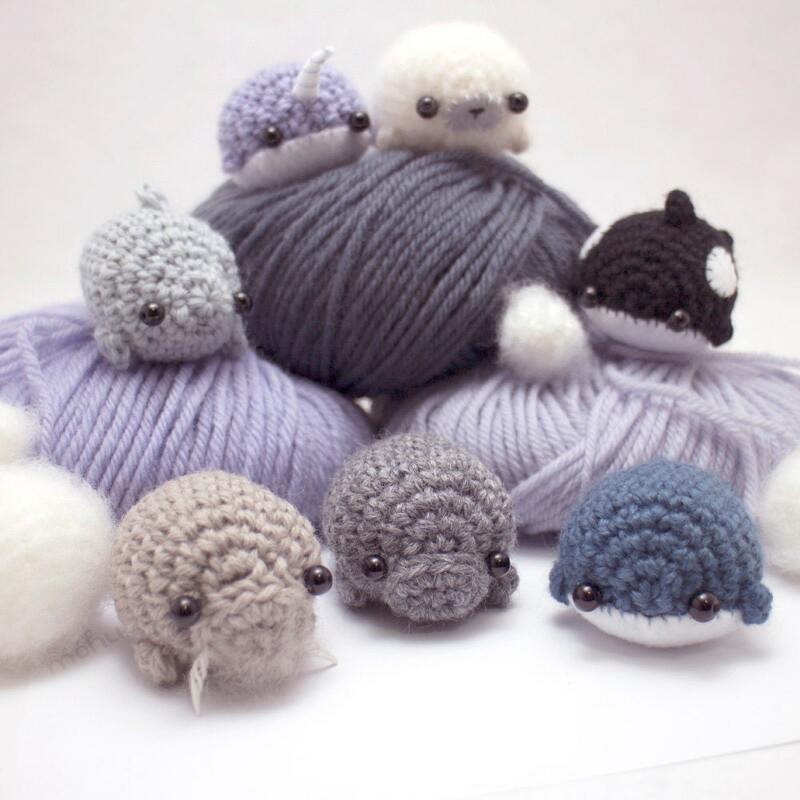 Using medium (worsted) weight yarn and a 3.5 mm (E) crochet hook, your marine mammals should be about 4 cm / 1.6" wide. You can adjust the size by using thicker or thinner yarn. For animals with felt details, you'll need to adjust the felt template to match. 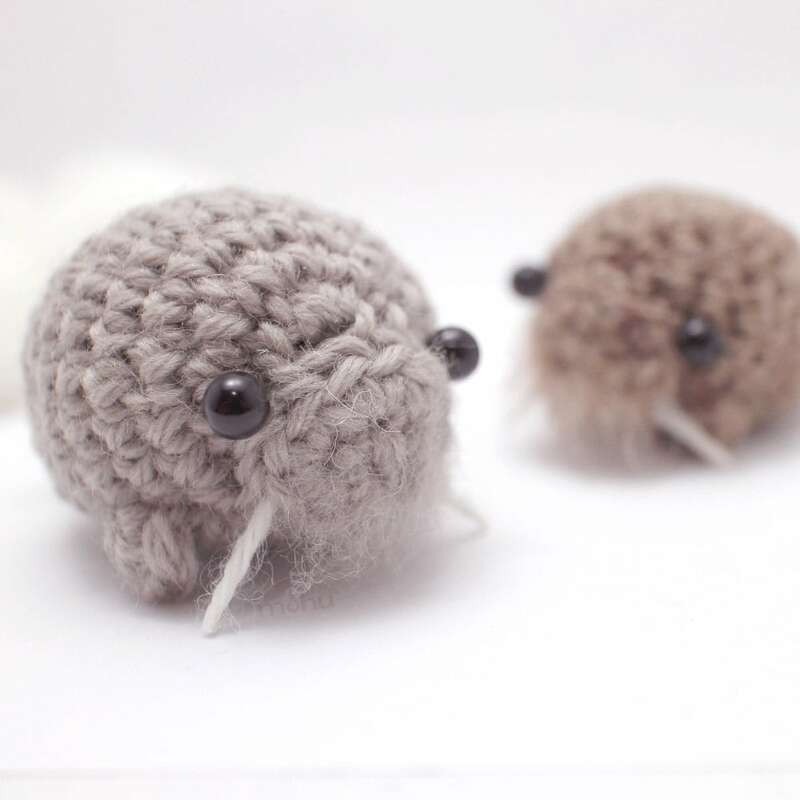 Selling your amigurumi: You're welcome to sell amigurumi made from this pattern, as long as you credit móhu as the designer. More details can be found on the last page of the pattern. 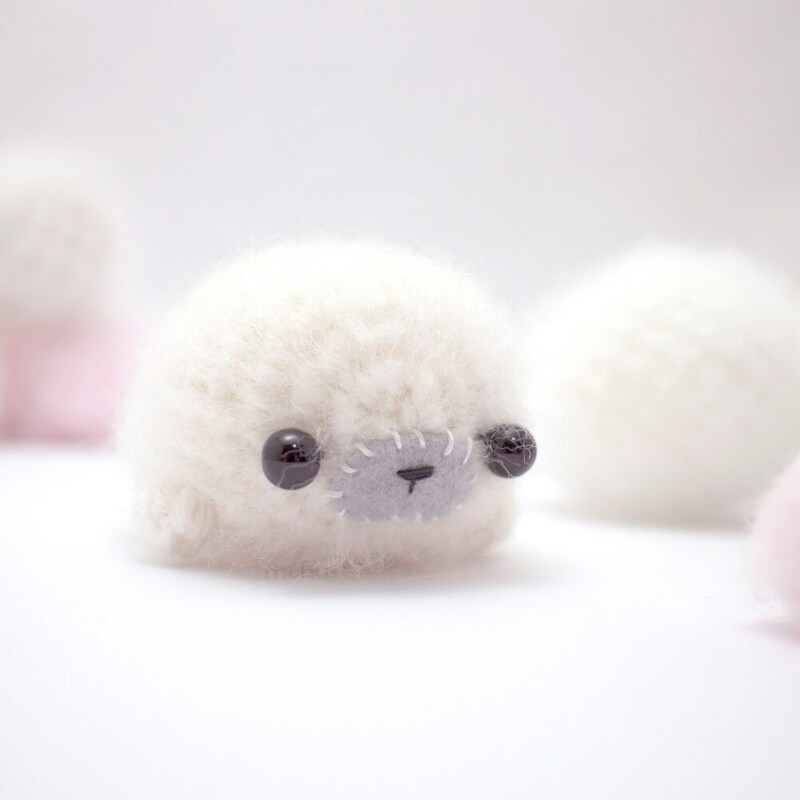 Very cute pattern and easy to follow so far, I love the variety of different animals that can be made from a simple pattern that even a beginner like me can make. So glad you have the Manntee too, thank you! ADORABLE. My final product turned out just like the photo, and my 21-year-old son loved them.